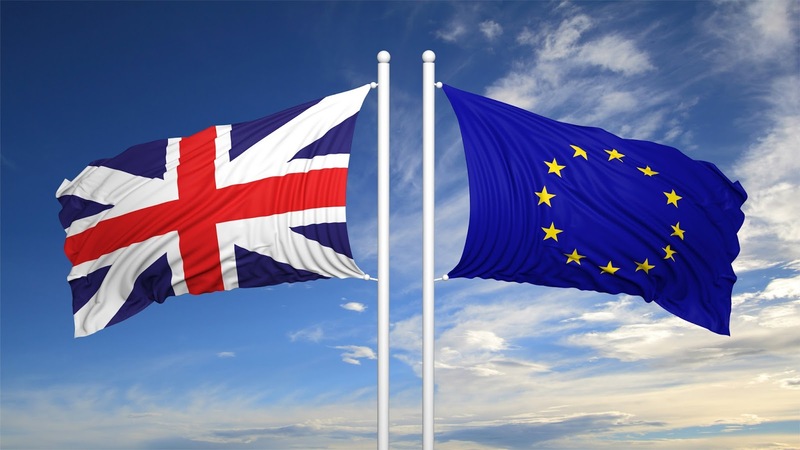 London Green Left Blog: Should we hold a Second EU Referendum? Should we hold a Second EU Referendum? David Miliband, a former Labour Foreign Secretary, made the case for a second referendum on the final terms of our exit from the European Union (EU), in The Observer last Sunday. I am not a fan of Miliband senior (or junior much), but I have to say I agreed with a lot of what he wrote in this piece. He refers to Brexit as a ‘stitch up’ which when you consider the lies told by the Leave campaign and their complete refusal to even describe what kind of Brexit we will have, it is not hyperbole really. We still don’t know what kind of Brexit we will have, with different members of the Cabinet arguing over the form it should take. Liam Fox, the international trade secretary, and Philip Hammond, the chancellor, made a declaration in a joint article for the Sunday Telegraph on the same day, which was intended to quash speculation that the cabinet is divided over how to implement Brexit and what will happen during the transitional period – or implementation phase, as ministers call it. The two ministers state that after the transitional deal expires, in perhaps two years after our leaving date of March 2019, as the conditions of Article 50 require, the UK will not remain in the EU customs union. Today, the government issued a press released paper on their plans for the UK’s position on the customs union, after the transitional period ends. It lays out two options that will be pursued. Like all the rhetoric that comes out from this government on what will happen after Brexit, this is wishful thinking. The EU will resist any kind of deal on customs union, the single market, and freedom of movement of peoples, which is better than the existing arrangements the UK has as an EU member. The transitional deal will probably be an off the shelf one, that is remaining in the European Economic Area (EEA) (the so called ‘Norway model’), because the EU will not have the time, apart from anything else, to negotiate a new bespoke agreement with us. This would mean of course that, with the next general election approaching (probably in 2022), we would have to accept a divorce settlement without any real change in our terms, in fact Norway pays more than it would do by being an EU member. How popular do you think this will be with leave voters? To be fair, Labour’s stance on Brexit is no more realistic than the government’s, and again different shadow ministers say different things. The shadow international trade minister, Bill Esterson, repeatedly failed to give a clear explanation of Labour’s position on the customs union on BBC radio this morning. Pressed on the question, Esterson said, ‘That’s why you negotiate, isn’t it?’ Essentially this is the same as the government’s line, that, the EU will give us everything we want. We’ve had similar wishful thinking on staying in the single market from Labour too. I think this may be dawning on more and more British voters. The opinion polls on whether we stay or leave the EU have shifted a little in the direction of remaining, but still are very tight. What prospect of a rerun of last year’s referendum? The Green Party and the Lib Dems stood at this year’s general election on the promise of a second referendum on the issue. Both parties did poorly though, and most post-election studies find that remain voters, mainly backed Labour. Labour was probably perceived as not as bad as the Tories on this issue, despite the smokescreen created by Labour on exactly how they would leave the EU. But by the time of the next general election things will have become much clearer on the details of our exit. The general election could be used instead of a referendum, to make the case for staying in the EU or possibly the EEA. One way or another, Labour and the Tories will have to lay their cards on the table at the next general election. It's possible that the EU will agree to a customs union arrangement. It's hard, if not impossible, to see how they can resolve the problem of the border the EU has with us in Ireland without the kind of customs union compromise being mooted by the government. With Ireland in the top 3 priorities to be sorted out before moving on to trade agreements, we should know soon enough. I think Ireland is a special case, there will be an agreement there, but as for the rest...? Is that flag on the left an omen? The Irish saltire is missing. I honestly hadn't noticed that, but maybe it is an omen. YES ! It will be the 3rd, though. Only if there is sufficient support and demand for it, to answer the question. How would you measure it Alan, opinion polls are unreliable, but what else? Is There a Nazi in the White House? Why do we Owe the EU Money after Brexit? What is Really Going On in Venezuela?